An outstanding goal from Jadon Sancho and a sliding finish from Marco Reus ensured Dortmund end the first half of the Bundesliga as autumn champions. Pep Guardiola’s start to his pre-season campaign ended in defeat as Borussia Dortmund captain Mario Gotze’s first-half penalty was enough to see off the Premier League champions Manchester City 1-0 at Soldier Field in Chicago. 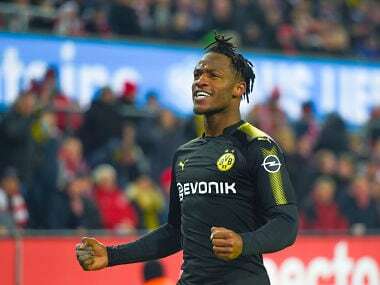 Batshuayi hopes to play for Belgium at the 2018 World Cup to add to his 13 appearances and five goals for 'Les Diables Rouges', who have drawn England in Group G.
Germany's World Cup-winner Mario Gotze hopes to use Friday's friendly against England at Wembley to kick-start his international career after a year on the sidelines. 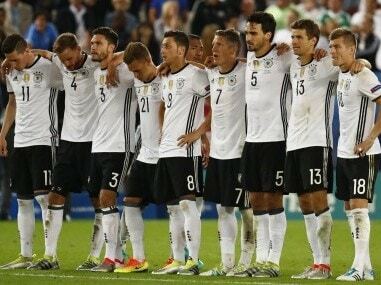 Mario Gotze and Ilkay Gundogan were named in the Germany squad on Friday for their upcoming friendlies against England and France, almost a year after their last appearances for the world champions. 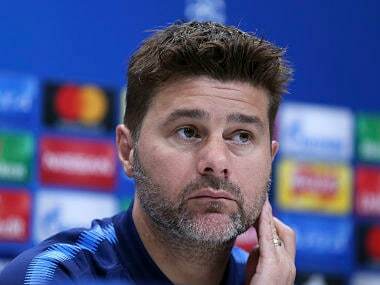 Mauricio Pochettino added, "To win here is so important for our confidence, for the players and the fans, and the perception of what we can do in the future." 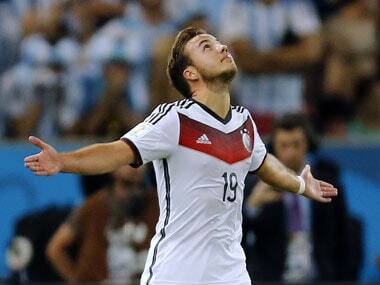 Mario Goetze had the nation at his feet when Germany's hero netted the winning goal in the 2014 World Cup final. Hosts France and World Cup champions Germany will be rekindling their traditional rivalry on Thursday when they face off in the second semi-final of the European football championship at Stade Velodrome. It is not only the young ones who need to maintain high standards for Germany. In Joachim Loew’s team, everyone needs to pull their weight. Germany's World Cup winner Mario Götze has brushed off criticism of his form at Euro 2016 by insisting, "sometimes you're the dog, sometime's you're the tree".